When I was creating the Clamshell Cuffs, I realized that it would be easy to extend the design to make fingerless mitts. 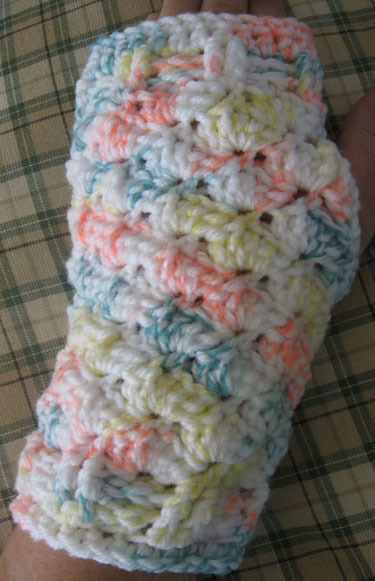 These mitts feature the same ribbed border and pleasing shell pattern as the Clamshell Cuffs. They are long enough to keep your hands warm and short enough to keep your fingers free – even your thumb is liberated! Round 7 Rep round 5. Round 8 Rep round 6. Round 11 Rep round 5.